Free Cricket Coaching Clinics for Elementary and Middle School Students. 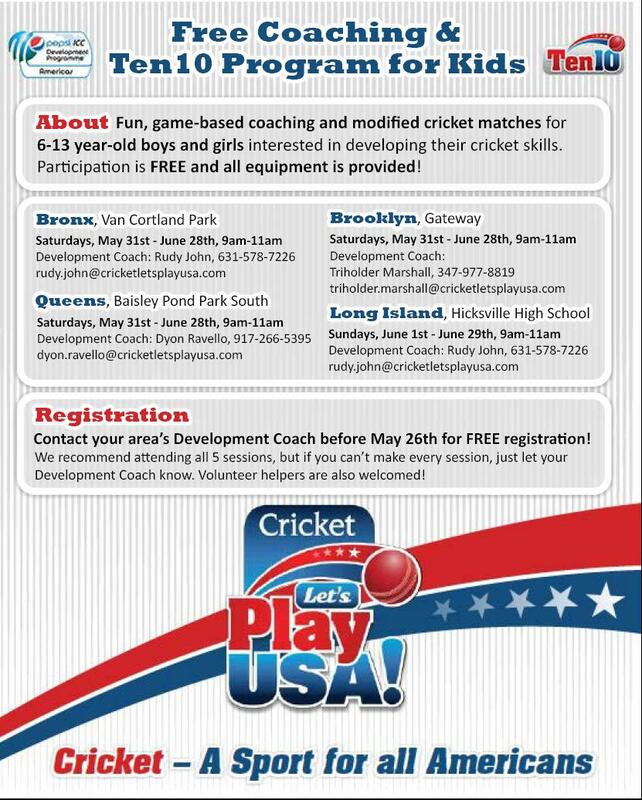 This entry was posted in Learn The Game, Register, School Cricket, Youth Cricket and tagged Cricket Coaching Clinic, Cricket in Elementary Schools, Cricket In Middle Schools, Cricket Let's Play USA, Peewee Cricket. Bookmark the permalink.